Bukola Saraki is not only rich and influential, he is also from a family that has a deep-rooted history of extra-ordinary wealth. 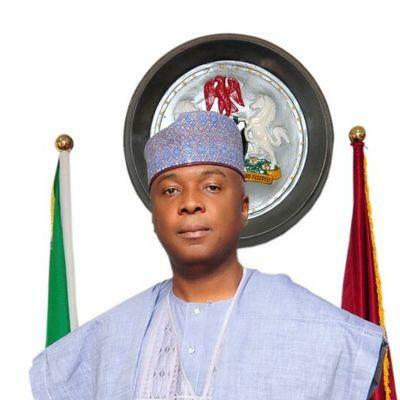 A mansion allegedly belonging to Senate President Bukola Saraki in Ilorin the Kwara state capital has been revealed. The pictures show the aerial view of the mansion and a bit of its environment. The pictures were shared on Instagram by @Instakwara where it is alleged that the architectural masterpiece is financed by the Kwara State Government. Saraki was a former governor of the Kwara State. After serving two terms, he proceeded to the Senate where he is now the President. “Incase you’ve been wondering what Bukola Saraki’s Ilorin mansion looks like… Located on Umar Audu rd. GRA, Ilorin. Financed by the Kwara State Government. #instakwara,” the page wrote.